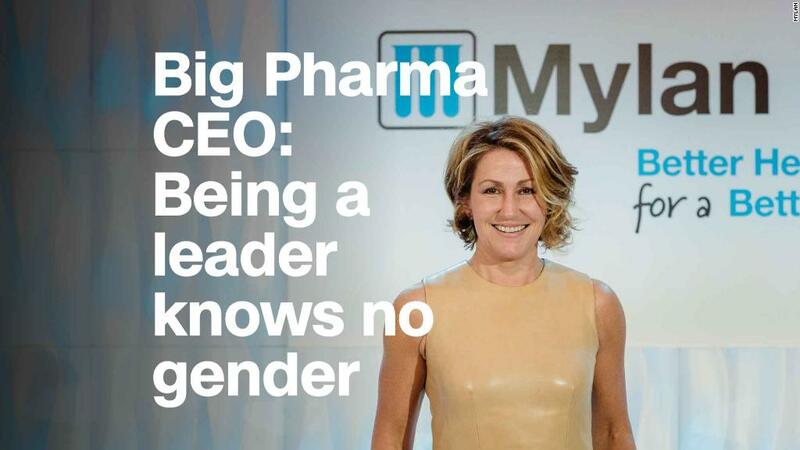 She's the first woman to run a major pharmaceutical company, but Mylan CEO Heather Bresch says that really shouldn't matter. Instead, she hopes she'll be evaluated based on her accomplishments and capabilities as a leader, not her gender. "Your ability to problem solve, your ability to figure things out, your ability to be able to lead, that to me was not, should not be predetermined by your gender," Bresch tells CNN's Poppy Harlow in a new episode of Boss Files. Throughout her decades' long career, Bresch was often the only woman at the table. She says that would spur her to work harder than everyone else and spend weekends reading the so-called "orange bible" of the pharmaceutical industry, which keeps track of the Food and Drug Administration's drug approvals. Her goal, she says, was to understand the industry better than anyone else, and to make sure she was part of the conversation. "The best advice I still try to give women today: You've gotta be comfortable being uncomfortable. You've gotta stand up and speak out and bring your perspective to the table and if you're willing to do those things, that's certainly half the battle," she says. A West Virginia native, Bresch started working at Mylan 26 years ago typing prescription labels in the factory basement. "I don't think there are very many people today that start on the ground floor, work their way up, stay with the company and then have the opportunity to be CEO," Bresch says. She took on the chief executive role in 2012. Now she oversees a global corporation that employs nearly 30,000 workers in 145 countries. 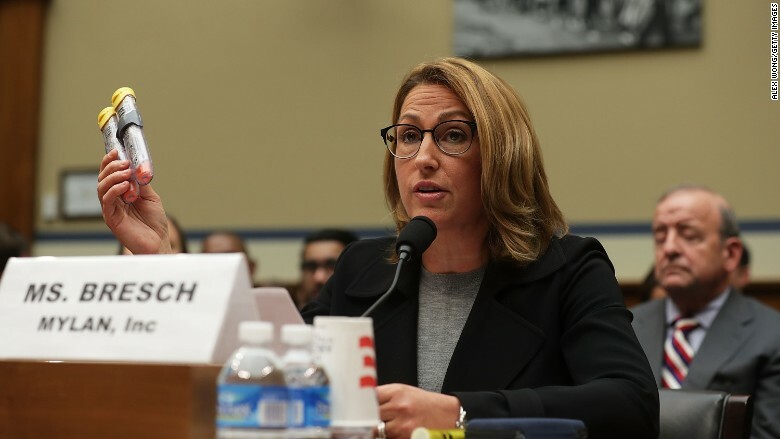 According to Bresch, one out of every 13 prescriptions dispensed in the United States is a Mylan product. "I still can't go back and pinpoint a time where I said 'Oh, I could do this.' Or that I saw myself as CEO. What I did realize over time is that I could do it," Bresch tells Harlow. "I realized that my ideas were just as good as really all of the men sitting around the table." Bresch is aware that she's part of a small -- and shrinking -- group of female executives, and she's hoping to help change that. After peaking at 32 last year, the number of female chief executives at Fortune 500 companies has slid back down to 24. Women now make up just 4.6% of top executives in the United States. Bresch is focused on helping young girls understand that it's possible to have the same level of ambition as men. Developing that confidence, she says, will allow them to reach the heights of leadership. She credits her big Italian family and her politician father for instilling her with leadership skills and making her feel comfortable in her own skin. Bresch is the only Fortune 500 CEO who is the child of a current sitting US Senator, West Virginia's Joe Manchin. "It is complicated," she says. "We are both held to a higher standard and we should be. We're role models, we're leading, we're doing very important things, but we're human." At a young age, her father told her: "Being a Manchin will open doors for you and give you opportunities. And if you want to take those, you better take the challenges," she recalls. One such challenge was her decision to hike the price for the EpiPen, which delivers an injection of epinephrine to treat anaphylaxis, a life-threatening allergic reaction. Between 2009 and 2016, Mylan hiked up the cost of the device 15 times. Two years ago, the cost of a two-pack reached $609, sparking national outrage. Consumers were so upset by the increase that the House Oversight Committee asked Bresch to testify. Bresch testifying about the price of EpiPens. Bresch described the controversy as a "defining moment" in her career and said it made her a better leader. "There's no question it strengthened me," she says. "I'm not one to look back and say, I wish that would have never happened. I mean things happen for a reason. I believe that it's the learnings you take out of them, and I took a lot of learnings out of it." It also inspired her to try to help find a solution to what she calls a broken health care system today. 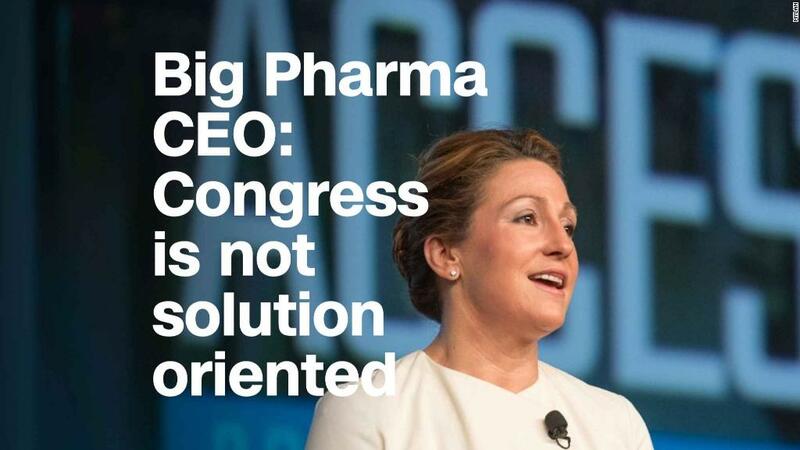 "I'll be proud if one conversation or one piece of research [Mylan] did helped lead to bring some transparency and relief to patients who need it," she says.